A Road Less Traveled: CONNER!! We just received the most wonderful, thorough update on our Conner!!! What an amazing blessing to be able to get detailed information on how he is doing. Of course, it made us all the more excited to go and get him-- we have waited WAY TOO LONG!!! At this point, it looks like we will be traveling to China sometime between April and May-- woo hoo!!!! As Jeremy mentioned, Jessica will not be traveling with us this time, but we will be taking Graci, Cali, Taylor and Parker-- what a special opportunity for these siblings to be there and experience a piece of Conner's life in China! Along with the update were several photos (I'm only posting one because the others were in a different format) and let me tell you, I just can't wait to get my arms around this sweet kid. I am feeling so many emotions as we get closer to that moment-- gratitude, fear, excitement, overwhelmedness (is that a word? ), love... Adoption is such a rollercoaster and knowing what we are in for makes it all the more wonderful and all the more scary! (: Honestly, I almost go into panic-attack mode just thinking about all of the hard parts-- then I have to remind myself of the peace and joy that also comes. We know well the depth of the emotions both Conner and our family are about to experience over the next few months. Such a huge life change for all of us, but especially for him. We have begun to include in every prayer our desire for the Lord to prepare him for our family and for us to do all we can to be ready to welcome him into our home. We love you, Conner. See you soon!!!!!!! There has been no change in his voice. He can speak both Mandarin or local dialect. His temper is good and is rarely angry. There are no behavioral concerns when he interacts with other children, but occasionally he trembles slightly. He does good in school. When not in school, he likes to play with younger sister and brother in his foster family or playing piano in the orphanage. He does not like any pop/musical groups. He is closest to his younger brother in the foster family and his classmate, Zhou Tian Tian. He likes meat and Cartoon book. He has no concerns about moving to the U.S. He does not have any questions about his family and is not getting nervous. He is a bit excited and he wants to have his own piano. In new surroundings, he is excited and desirous. He said that he want to make friends with them (his new siblings). He is not a picky eater and did not have any food that he does not like up to now. On January 25, the school for the blind went on winter holiday and the foster parents went to bring Wu Jia Xia home. At the same time, they also went to every teacher to inquire about Wu Jia Xia’s studying. The teachers all evaluated him very well. 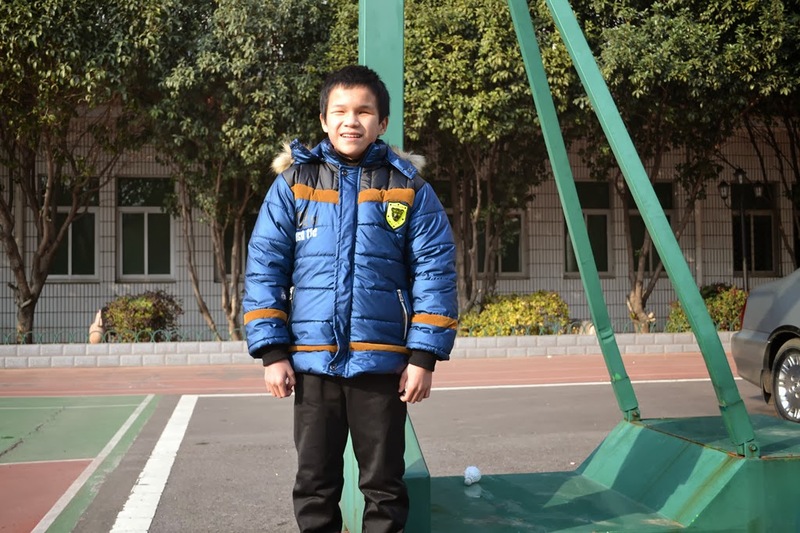 His home room teacher had this to say about Wu Jia Xia: He is a very versatile student with the gift of gab and he is energetic and joins in many activities. He’s smart, he responds quickly and he receives good grades. In liberal arts he received the best grade overall. However, he has room to improve with taking care of his own affairs in general. The new school period has already been going for a month and the foster father inquired about Wu Jia Xia’s situation and the teachers all said that since Wu Jia Xia came back, he has been doing well in every aspect and he will certainly have a bright future! You are smart and respond quickly. Your personality is also very lively. This semester you helped out other students and I saw this. I hope that you continue to help others. You need to improve on organizing your desk because you can’t find the things that you are looking for. I hope that next semester you will focus on organizing your desk to make it more convenient to find things. Oh, and just for fun-- HERE is the video that started it all-- the first time we saw his sweet face. What a great update! He sounds like such a sweetie. Hooray! So happy he's coming home!! Beautiful beautiful boy! What a great update! They've really done such a nice thing sending such great stories and even his report card. I can't wait to see y'all go get that boy.